The Clinical Fellow and Cancer Conference at the University of Kent – September 2018. You may think that cutting edge research and development in the battle against cancer takes place ‘somewhere else’, in an ivory tower elsewhere in the world. But that’s not so! 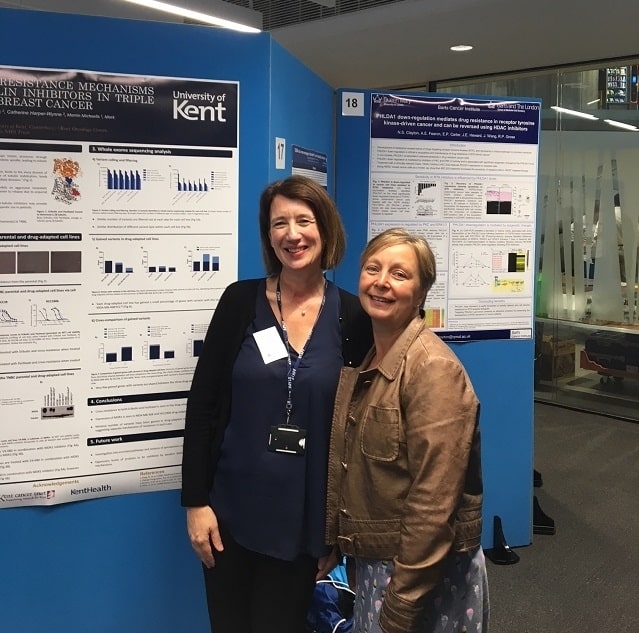 The British Association for Cancer Research conference on Response and Resistance in Cancer Therapy took place in September, here on our doorstep, at The University of Kent. Cancer scientists from all over the World gathered to present and discuss their work so they can learn from each other. These types of meetings are crucial to keep Cancer research moving forward. There were also many keen young researchers displaying posters of their work. Their dedication and commitment to finding out the reasons why cancer cells form, grow and resist treatment is inspiring. 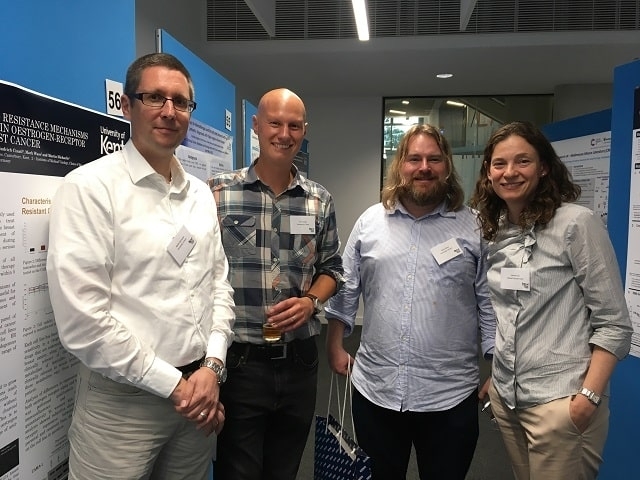 The organisers of the conference were renowned Kent based scientists (pictured below from left to right together with Breast Cancer Kent Trustees Helen Teare and Karina Cox) Professor Martin Michaelis, Dr Mark Wass, Dr Tim Fenton and Professor Michelle Garrett). 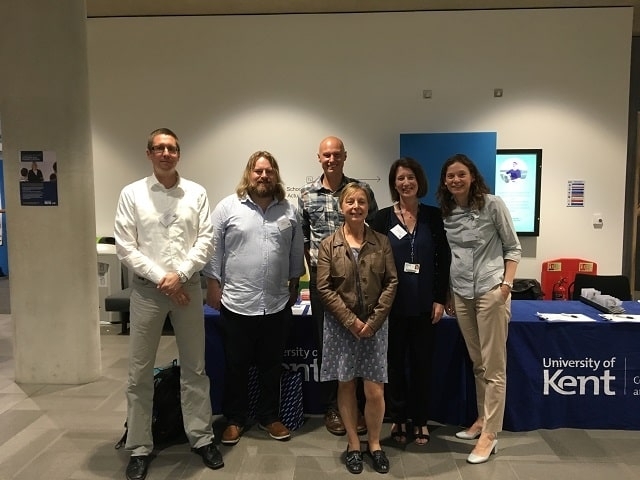 Together with the British Association for Cancer Research, The University of Kent hosted the prestigious ‘Response and Resistance in Cancer Therapy’ conference on the 10th, 11th & 12th September 2018 in Canterbury. Breast Cancer Kent were delighted to sponsor Professor Chris Lord’s talk on ‘Drug resistance to synthetic lethal treatments for cancer’. Professor Lord works at the Institute of Cancer Research and leads the Gene Function Team. Much of the focus of his work has been looking at the genetics of cancer cells to find new ways to stop them growing and ultimately kill them off. He has also been involved in the development of new drug treatments called PARP inhibitors and his team are looking for new treatment targets for specific types of breast cancer. It’s inspiring that this level of research is happening in Kent and feeding into both national and international work on cancer R&D. Clinical Fellow and Cancer Conference at Kent in September.